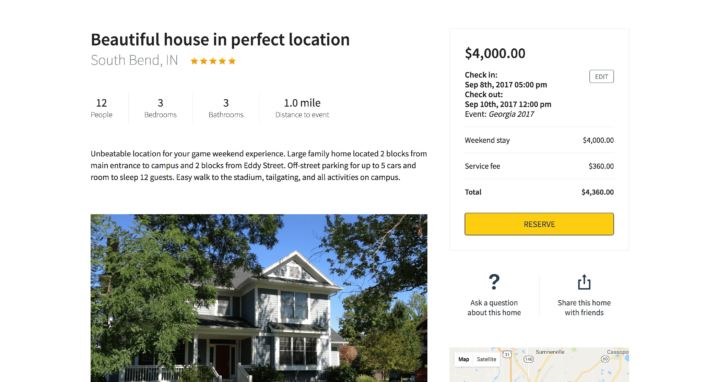 Rent Like A Champion started out knocking on doors in South Bend, Indiana getting people to rent out their homes for college football weekends. 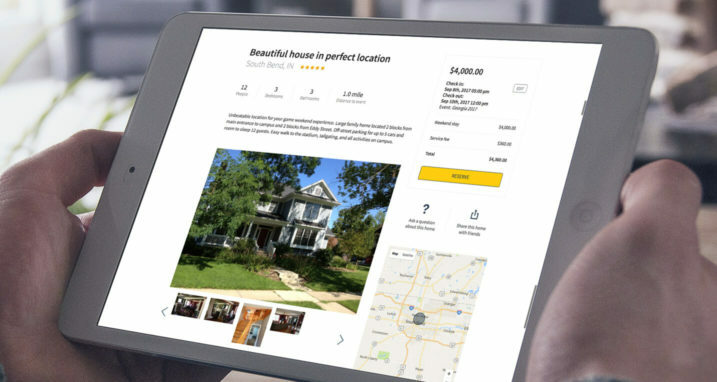 Over a few years, it’s grown into a web application connecting homeowners to renters and has expanded outside the college football market. With this expansion came a need to both modernize their desktop web application as well as bring their existing ~50 sites (one for each college) on to one centralized domain. 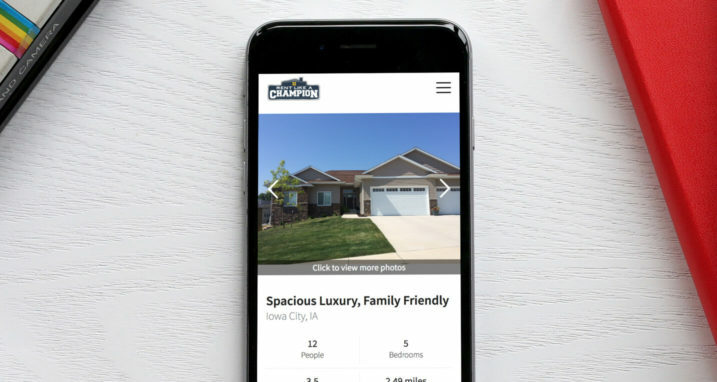 We started working with Rent Like A Champion to provide a better user experience in the form of a responsive design and fresh look. We started out with a few strategy sessions and then worked together to come up with the design currently in use. One of the new noteworthy concepts we helped introduce is the main university/town typeahead search box on the home page. It’s, by design, a very simple component to the user, but was the backbone that made this new site that brought multiple single sites into one work. We worked hand in hand with Rent Like A Champion’s Ruby developers to implement the new responsive design into their Ruby on Rails application. Starting from the ground up, we developed the site using a mobile first approach with Trevan’s BareKit starter framework. 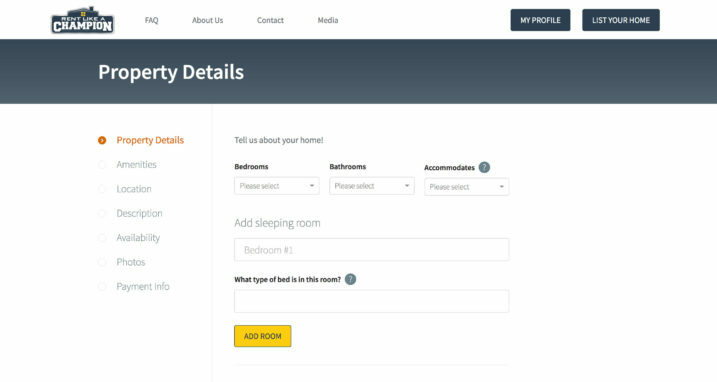 There were a lot of challenging aspects about this project that we came up with some unique solutions for, from the property reservation process to the home listing process to the homeowner/renter negotiation process. 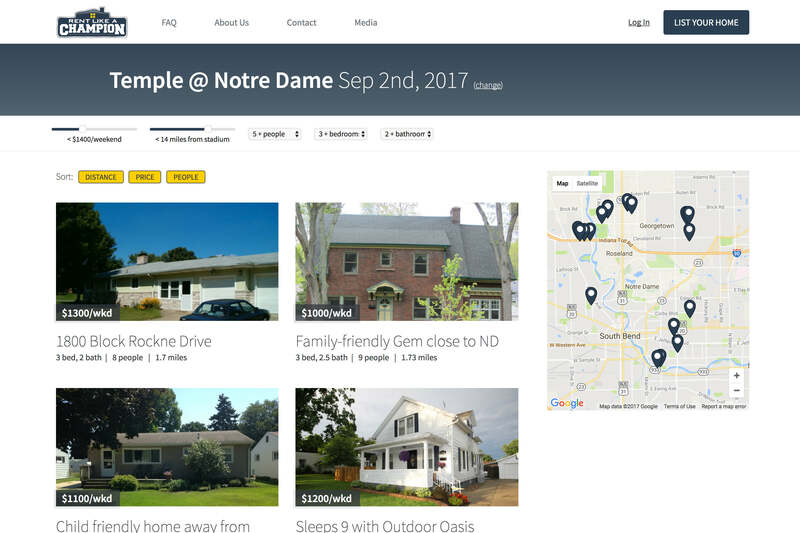 One of the most robust aspects of the site is the property listing page where all the homes available for certain events are shown. For a snappy experience, we used Backbone to manage the state of the list when filtering, moving between page to page and navigating the connected map. Keeping track of all the filters selected, where the map was zoomed in and what page the user was on was a fun challenge, but it turned out pretty good in the end, complete with support for loading the proper properties back in when the page was refreshed or navigated to and from. 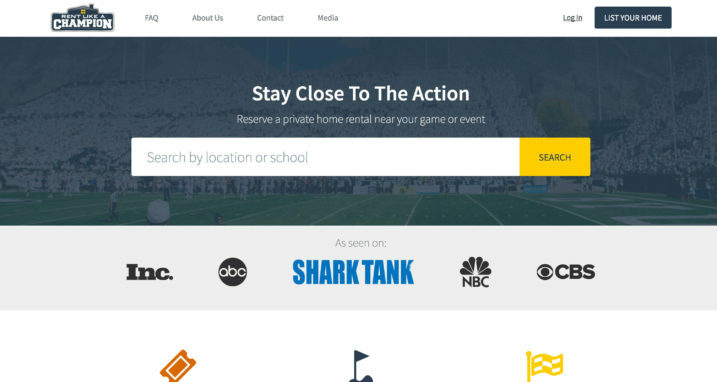 Right after the redesign was launched, Rent Like A Champion sealed a sweet deal with Mark Cuban and Chris Sacca on ABC’s Shark Tank. This introduced a new set of challenges that we helped the team with, from ensuring the servers could withstand the traffic spike to getting everything we could wired up to HubSpot to ensure they could capitalize on the massive influx of traffic by capturing new leads. Things couldn’t have gone better the night of the airing and the site stayed strong the whole time. Trevan wrote a bit more about the kind of traffic we saw over on his blog. 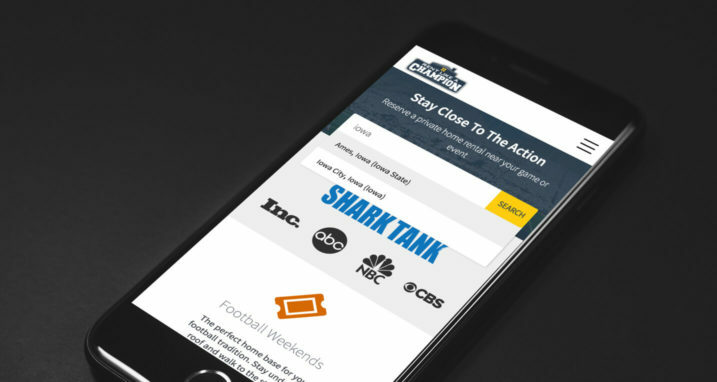 We’re proud of the partnership that we’ve established with the Rent Like A Champion team and they even invited us to Alabama for the filming of the Shark Tank Update!